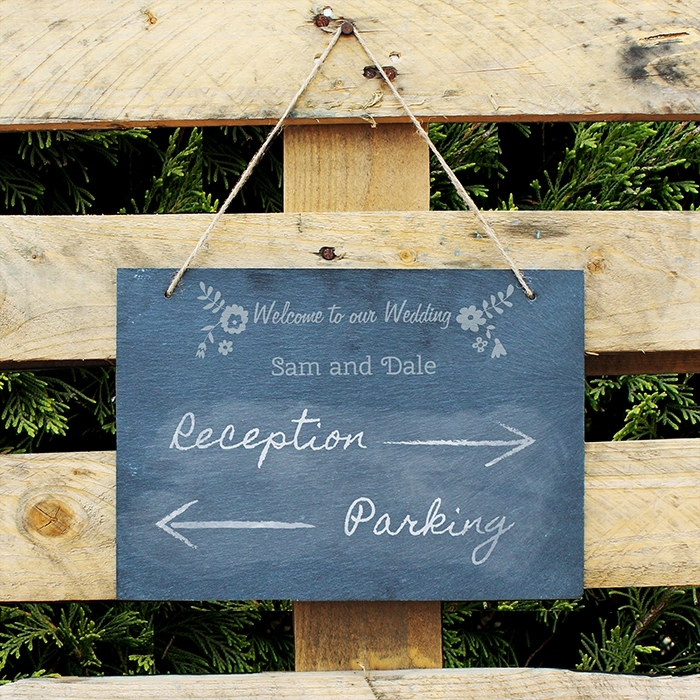 This Personalised Wedding Flowers Hanging Large Slate Sign will ensure your guests find your wedding. A beautiful rustic slate sign cut by hand, and contains speckles of fools gold which makes a stunning feature and adds to the rustic feel. 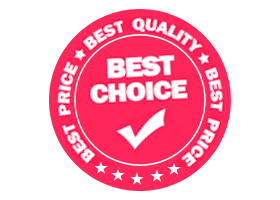 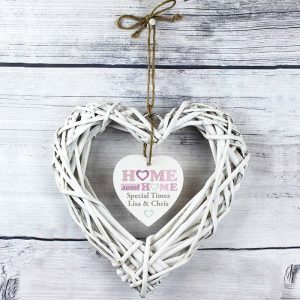 A piece of natural, rustic string enabling this item to be hung up is supplied. 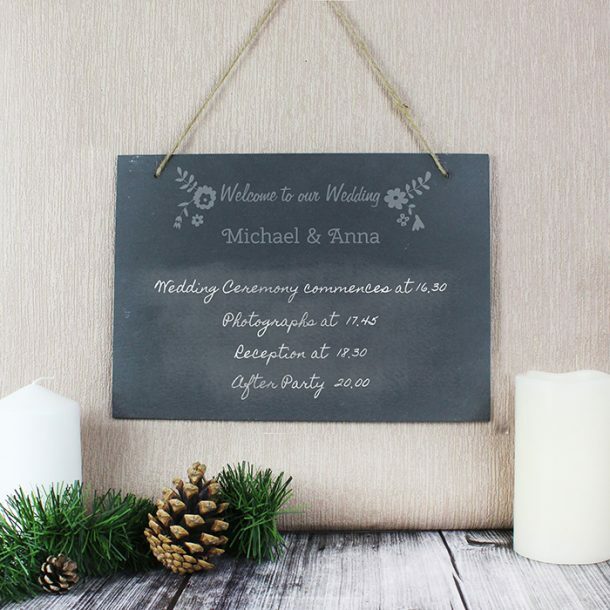 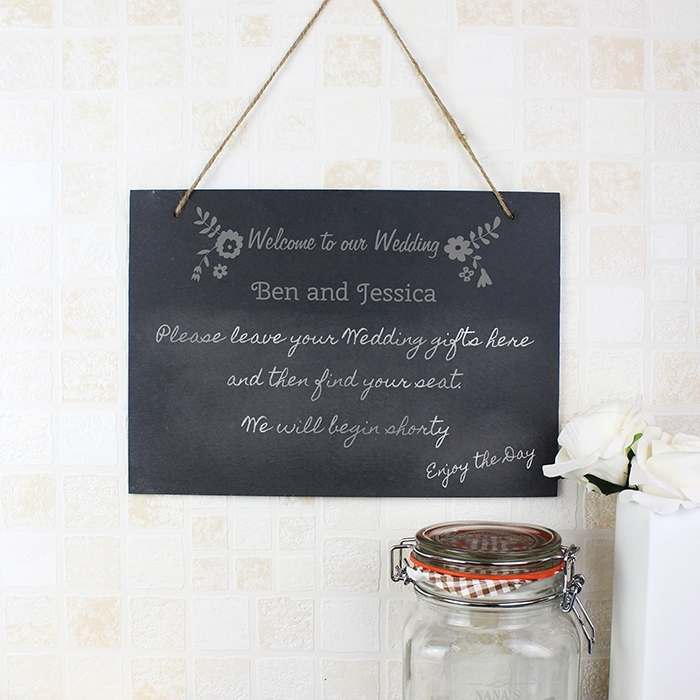 The words ‘Welcome to our Wedding’ are fixed text, but you can personalise this hanging slate sign with a message up to 21 characters in length (e.g. 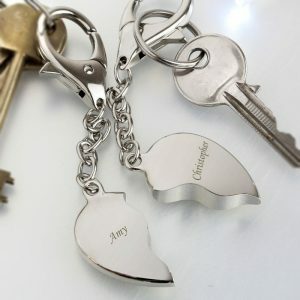 names). 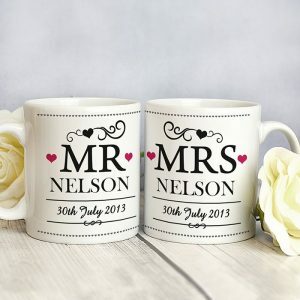 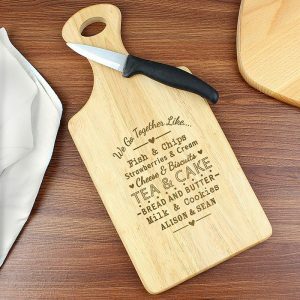 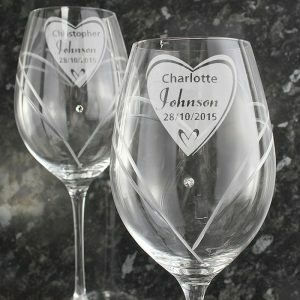 This product makes a fantastic and unique Wedding gift for the bride & groom, so treat someone special today!